Contest Moved To Turkmen Capital? Update: Contest now confirmed as being held in the Capital of Turkmenistan, Ashgabat. Turkvizyon 2015 is being held in Turkmenistan this year, however it is now not clear where the contest is being hosted. According to the rules of the contest it must be held in the the city that is awarded the title of Cultural Capital of the Turkic World, however TMB TV has tweeted that the contest is being held in the Turkmen capital Ashgabat. Türkvizyon Şarkı Yarışması bu yıl Aşkabat’ta düzenlenecektir. Türkvizyon Song Contest will be held in Ashgabat this year. It appears that the contest has been moved from Mary the previously announced host city due to a lack of appropriate sized arenas for the contest. 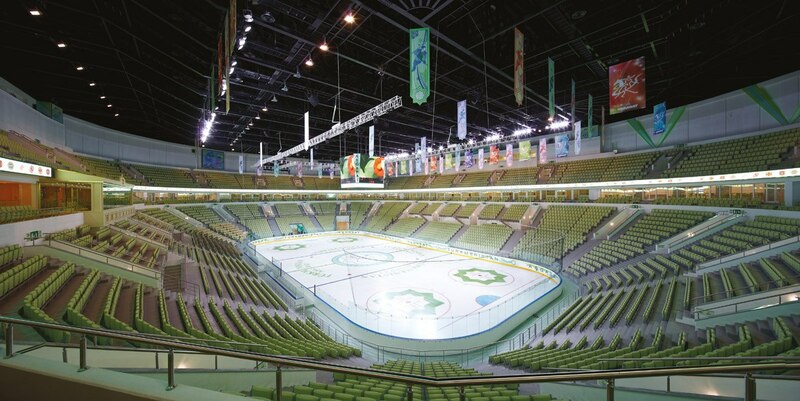 The venue that hosted Turkvizyon 2014 in Kazan, Tatarstan had a capacity for over 5,000 spectators in the arena. The only similar sized indoor arena in Ashgabat is the Winter Sports Complex Ashgabat, the arena has a capacity for 10,000 spectators. The tweet from TMB TV the Turkish broadcaster organising the contest also confirms that Turkey will be participating in the 2015 contest. Estonia, National Selection, Eesti Laul, Latest News, Eurovision 2015Estonia: Elina and Stig to Vienna! It will be in Ashgabat. Mary is a small city and only area for contest was Marw FK’s sports arena.